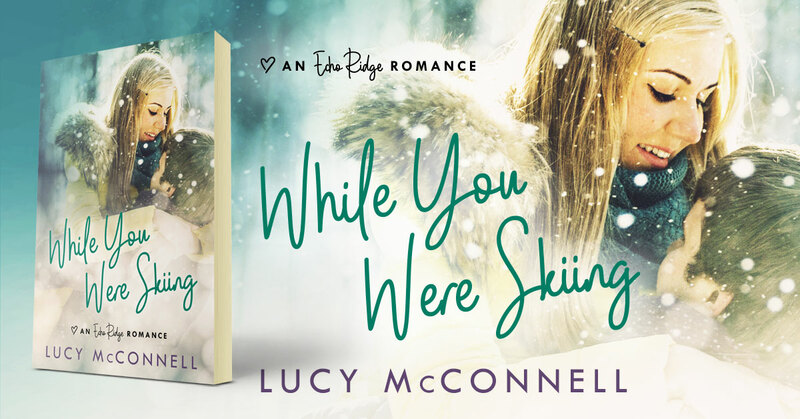 While You Were Skiing is a contemporary romance novel by Lucy McConnell. It’s the first book in the Echo Ridge Romance series. Mia Davis’s new job in guest relations at Ruby Mountain Ski Resort gets complicated when the gorgeous Ryder Montgomery falls off the ski lift, tells everyone they are engaged, and then loses consciousness. Worried about a head injury, Mia plays along, making him lunch, kissing in the front entryway and planning a future together; a future Mia wants with all of her heart. Things become all the more complicated when Ryder’s estranged family gets involved. Caught up in the fantasy and romance, Mia has to tell the truth or risk losing a part of herself and the man she loves forever. This entry was posted in Showcase Spotlight and tagged Lucy McConnell, While You Were Skiing. Bookmark the permalink.